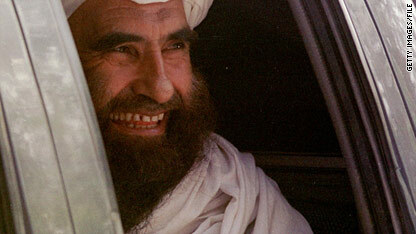 Jalaluddin Haqqani, whose son was reportedly seized in recent days, leads a group closely tied to the Taliban. A key member of an insurgent network in the Afghan-Pakistani region has been seized recent days, Pakistani military intelligence sources told CNN on Friday. He is Nasiruddin Haqqani, son of Afghan insurgent leader Jalaluddin Haqqani, whose notorious group, called the Haqqani Network, operates in Afghanistan and Pakistan and is closely tied to the Taliban. Nasiruddin Haqqani was detained in recent days while driving from Peshawar to the tribal region of North Waziristan, the sources said. The United Nations says he is believed to be based out of Miram Shah in North Waziristan, where the network operates. The United States should consider drastically cutting the number of troops in Afghanistan unless the current strategy starts to show signs of progress, a new report says. Afghan and international forces targeting a militant commander launched several "precision strikes" in eastern Afghanistan, NATO's International Security Assistance Force said. ISLAMABAD, Pakistan (CNN) - A suspected U.S. drone strike in Pakistan's tribal region killed the son of a notorious al Qaeda-linked militant group leader, sources told CNN on Friday.